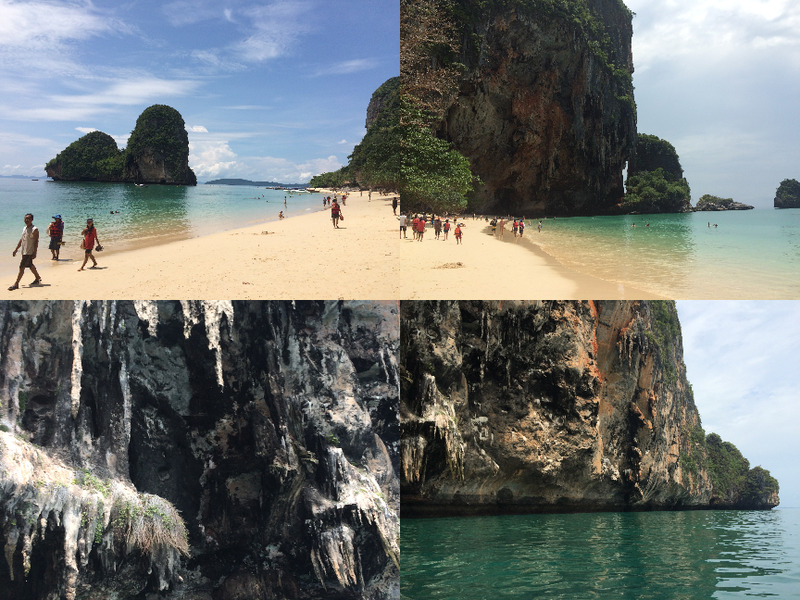 Holiday Krabi-Thailand (Part 3) ~ Catharina Zieren ) now I want to finish the third and last part of the story. 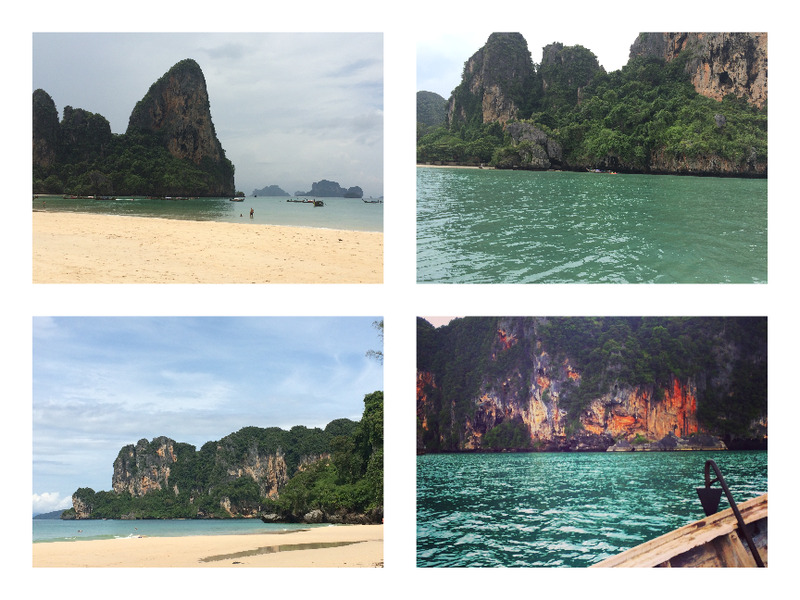 Raillay beach has become our favorite place in Krabi, I mean its close to Ao Nang and of course the beach is very nice to swim, we went there for the last two days we are in Krabi and we love it very much. 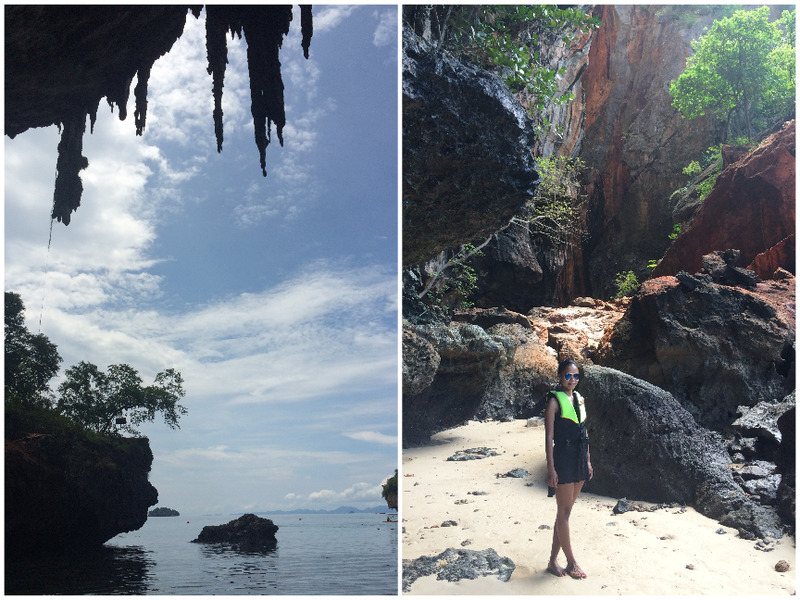 We took a long tail boat from Ao Nang and paid about 100 baht one way. 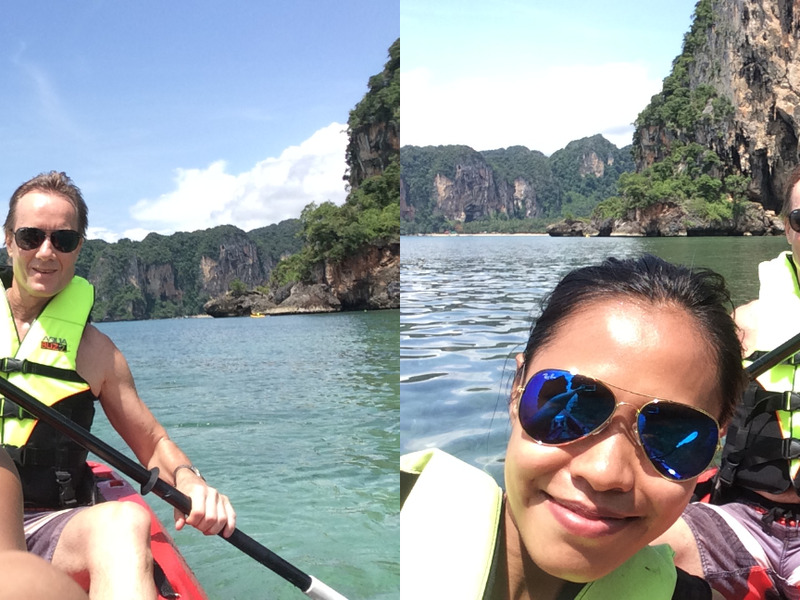 From Raillay we go kayaking, the kayak it self rent for 300baht/2hours so its quite cheap, and you can find easily agent to rent the kayak. 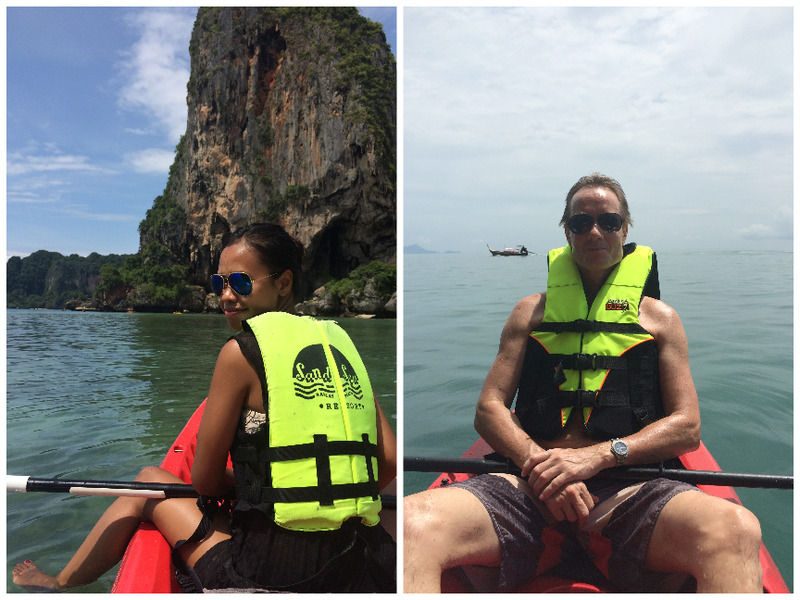 I love kayaking but never done that in the sea so I was a little bit nervous that time, wondering if our kayak hit by the long tail boat or maybe some wave will throw us apart lol, and yes I was wrong... after you guys see these photos really I love to go back again and doing my kayaking. 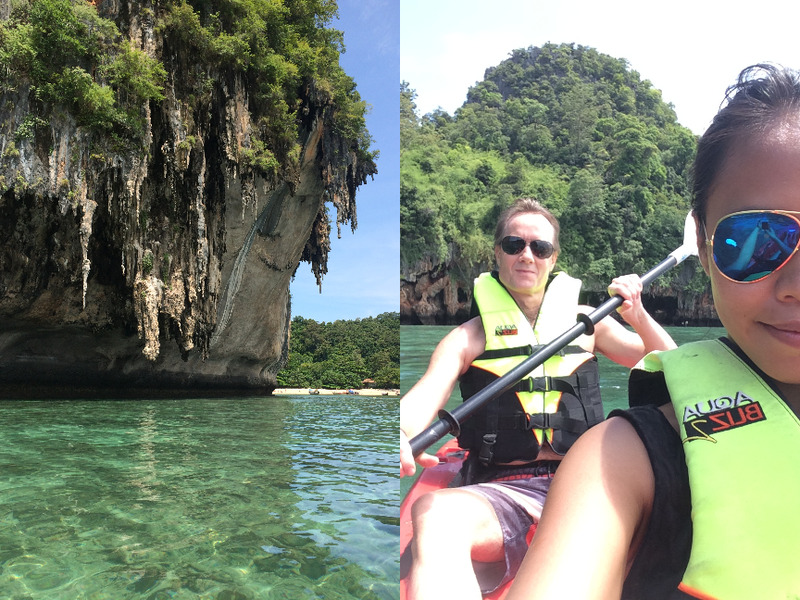 We really enjoy our 2 hours kayaking, we start in Raillay beach and we go to another beach called "Phranang cave beach", the sea water was very shallow we even can look inside the water where they have corals. It's very relaxing, seeing beautiful stunning thousand years cliffs and of course clear sky. 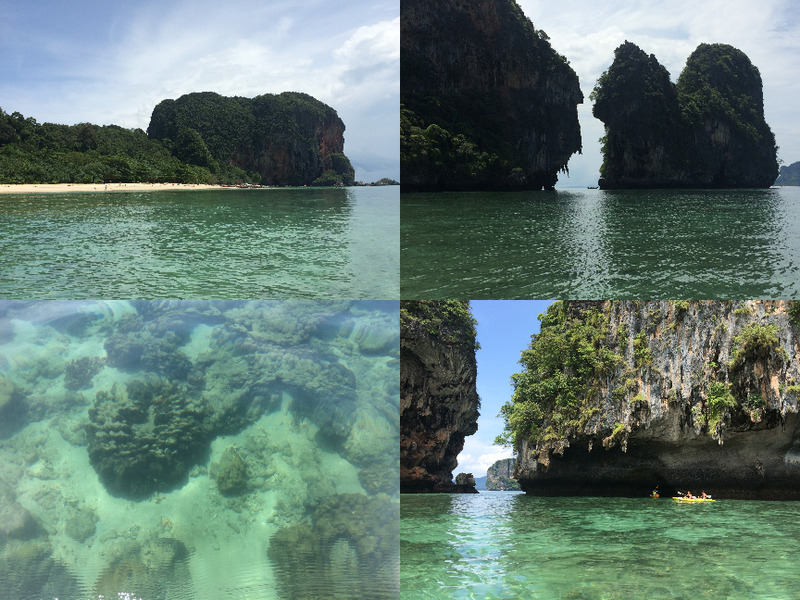 Its really not bad idea to explore the area without tour company, you will get your longer free time, your own schedule and of-course maximum satisfaction. At the end all my fears gone and got lots of relaxing time with beautiful view.